The Nigerian Senate wants the Foreign Affairs Ministry to summon the Libyan Ambassador to Nigerian to discuss reports on Nigerians being sold in Libya as slaves. 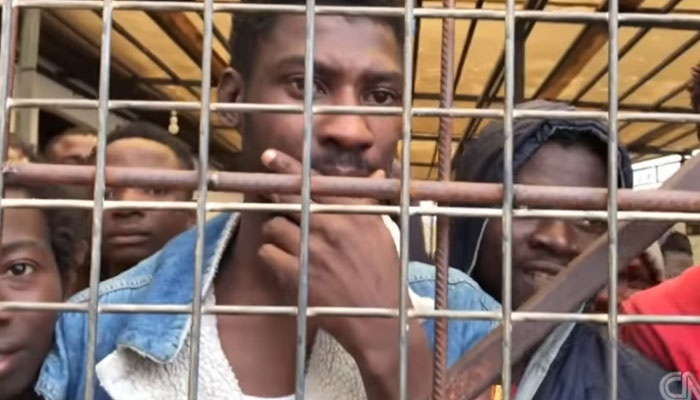 Nigerians in the quest of going to Europe through Libya and then the deadly 50-50 journey through the Mediterranean Sea, have found themselves in conditions where they have been exchanged for money - Slave Trade. History have talked about slave trade, but it is here with us again in Africa's northern city and the Nigerian Senate has initiated moves to end the ongoing slave trade of black Africans there. On Wednesday, after lawmakers reviewed the videos that have populated the news media, they reached a resolution on the issue. They want the Ministry of Foreign Affairs to summon the Libyan Ambassador to Nigeria to discuss the situation. The Senate, which described the video images as gruesome, also wants President Muhammadu Buhari to use the opportunity of the ongoing EU-AU Summit in Abidjan to table the matter before the Libyan delegation. Buhari is in Cote D'Ivoire. After deliberating on the motion entitled “Urgent Need to Protect Nigerian Citizens from the Libya Slavery Auctions” raised by Senator Bashir Garbai, the Senate President, Dr. Bukola Saraki, in a Statement said "as a country it is a slap in the face if Nigerians can be treated in this manner. "Other countries are taking necessary actions to bring back their citizens. We need to be doing the same". The Senate condemn in totality the current depravity and sheer animalism being exhibited by the Libyan slave traders, who are selling fellow Africans as slaves. It also asked the Executive to urgently investigate how many Nigerians were affected and commence the process of repatriation and rehabilitation of Nigerian citizens caught up in these despicable treatment and human rights abuses. Economic hardship and other issues have been identified as conditions fuelling migration crisis in Africa that recently led to the death of some 26 female Nigerians. In his contribution, the Deputy Senate President, Ike Ekweremadu, stressed the need for governments at all levels in Africa to take steps to ameliorate the economic hardship fielding this migration crises. Nigerians in desperate move to reach Europe are not alone on the reason they are on the run from their fatherland, as Senator Ali Wakili highlighted the need to check the corrupt activities of leaders who aid such illegal movements.